Warley after their cup final win. Warley skipper Matthew Whitworth is hoping his side’s Parish Cup triumph will kick-start a spell of success for the Paradise Lane club. Sunday’s 26-run win over Triangle at Copley gave Warley their first major trophy win for a decade, following their Halifax League title success in 2008. He wasn’t ruling out more glory this season either, saying Warley hadn’t given up hope of catching clear leaders Thornton in the title race and also hoped to lift the trophy at the weather-delayed T20 finals day. “We are hoping that this is the start and hopefully there are more trophies to come,” said Whitworth. Warley have some good players in reserve with the likes of Liam Senior, Chris Marsh and Nolan Bottomley not making Sunday’s team. However, there are availability issues surrounding the footballing Atkinson brothers and Luke Duckitt through work commitments while Whitworth is himself joining the fire service in January. “We will just play when we can,” said Whitworth. Triangle’s decision to field first on Sunday came as a surprise to the Warley skipper. “We would have batted because the pitch looked an absolute road,” he said. Whitworth praised Shazad Hassan and his own brother, James, for an innings-reviving stand of 97 which helped Warley to 279-9 and then spinner Dan Syme for his “key wickets” when Triangle batted. Christian Silkstone, thrust back into the Triangle captaincy when Blackley-bound Michael Midwood stepped down recently, said Syme’s double blasts had rocked his side’s reply. While the decision to give big-hitting Carl Fletcher out stumped was possibly a contentious and pivotal one, Silkstone had no complaints about the overall outcome. 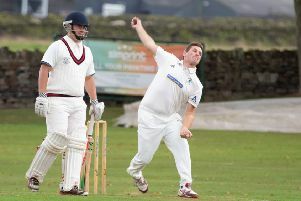 Silkstone felt it must have been a good final for the neutral and said Triangle “would be looking for a bit of revenge” when they played Warley in the league next Saturday with a T20 semi-final clash to come near the end of the season.